Rediff.com » Movies » Rani bags award, and her dil goes Hadippa! Rani bags award, and her dil goes Hadippa! Dil Bole Hadippa may not have had any takers at the box office but it won its leading lady Rani Mukerji a Best Actress award at the prestigious V Shantaram award ceremony. The Best Actor award went to Kannada actor Prakash Raj for his brilliant performance in Priyadarshan's Kanchivaram. 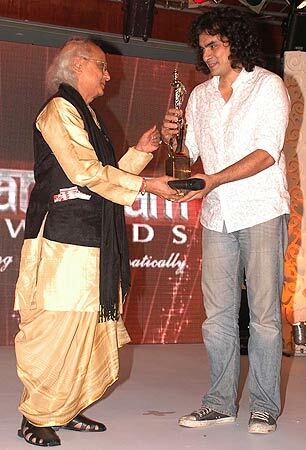 Kanchivaram bagged quite a few awards that night. Besides Best Actor, it also got Best Director for Priyadarshan and Best Film. 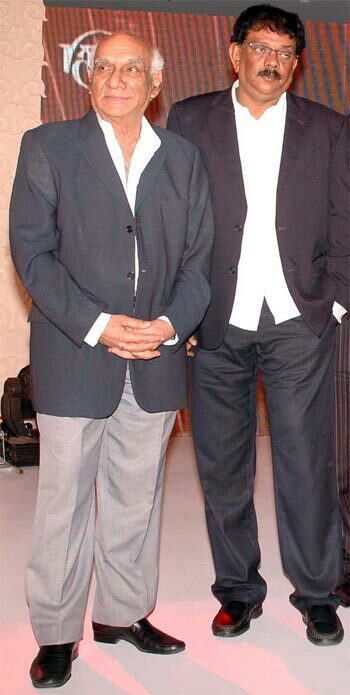 Priyadarshan said that in the last 27 years of his career, this was the first time he had bagged the Best Director award. Saif Ali Khan's debut production Love Aaj Kal received the Bronze Award for Best Film. Its director Imtiaz Ali got an award for Best Director. Nandita Das bagged the Best Debut Director award for her touching film, Firaaq. Elsewhere in Mumbai, Sushmita Sen and daughter Renee were seen launching Shobha De's new book S' Secret.